The daily terror against the Jewish people in Israel continues and the US State Department apologizes for sending wine from “settlements.” The US State department continues to make the situation worse with their “political correctness” and bad policy. As reported by The Jewish Press, on 9/23/2016 a fourteen year old Palestinian was shot by the IDF as he tried to commit a terror “stabbing” attack at a transportation stop used by the Jewish community. The Palestinian Authority who rule the Arab population of the area is under fire internationally for teaching hatred of the Jews in schools and inciting the violence. The “Stabbing Intifada” started in September 2015 and has grown to almost daily attacks. No resident was killed and the terrorist was hospitalized. Kiryat Arba, the “Town of Four” is a suburb of Hebron, five minutes from the Cave of the Patriarchs, the second Holiest place for the Jewish people, where Abraham, Isaac, Jacob, Sarah, Rebecca and Leah are all buried. 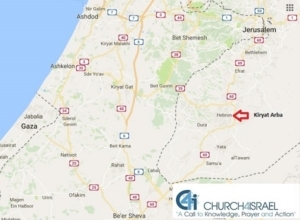 Kirvat Arba was established in 1968 as the first renewed Jewish community after the 1967 war in which Judea and Samaria, also known as the “West Bank” came back into Israel’s control from Jordon. On the same day The Jewish Press also reported 15 Arab terrorists went on a “stone-throwing attack” hurling stones at Jewish worshipers who were entering and leaving Rachel’s Tomb, a sacred Jewish grave-site, which is on the outskirts of Bethlehem. 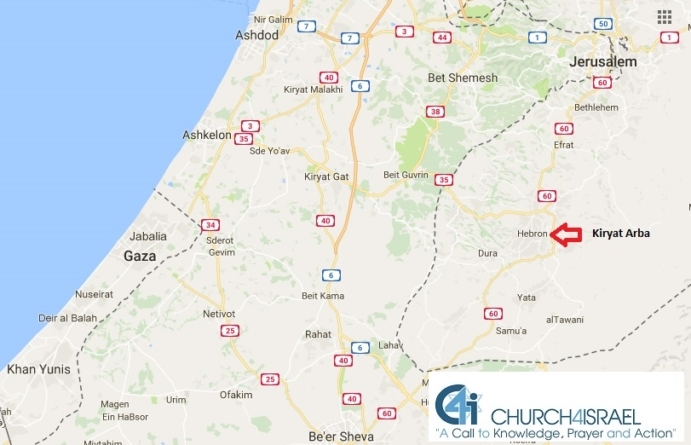 Church4Israel is bringing attention to the locations of where these attacks on Jews are taking place and the historical Jewish connection of the land, as the Arabs, mostly Jordanian calling themselves Palestinians, protest the Jews living in the historical native Jewish land. Also this week in Israel – OOPS! US Embassy apologizes for wine? As a goodwill gesture to some Israeli organizations, the US State Department’s US Embassy in Israel sent out gift baskets for the upcoming the Jewish New Year. 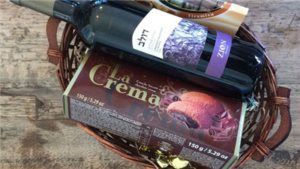 The gift baskets included a bottle of wine that was produced by a Jewish Kosher winery east of Jerusalem, in what is known as the West Bank. After being called out by a leftists organization calling it “Settler Wine,” the American Embassy apologized for sending out wine from the “Jewish Settlements.” An Embassy official said the baskets were purchased from a vendor that prepackaged them. Objectionable gift basket from US Embassy Israel? The Obama Administration has a policy against what they call the “Israeli settlements,” Jewish neighborhoods in the “West Bank.” The US Congress has made it clear that goods made in Judea / Samaria can not be labeled separately from other Israel goods, or boycotted in any fashion as policy, but the Obama Administration’s policy is that the “settlements” are an obstacle to peace. The Zion winery, according to Israel Today, is located in Mishor Adumim, an industrial area of the large Jerusalem suburb of Ma’aleh Adumim. Church4Israel encourages purchasing Israeli goods from farmers and artists in Judea and Samaria. Many Israeli companies are boycotted by anti-Israel forces throughout Europe. Here is a way to buy direct from local Israeli artists. Use C4I and get free shipping.